We've seen marketing exaggeration and then we've seen bull. You decide where this one sits. 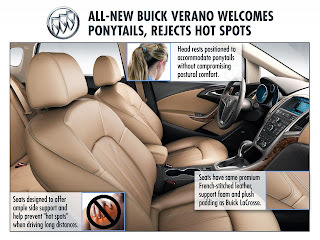 Buick has developed the seats of the Verano is accommodate those who a ponytail. According to the marque, its engineers spend “at least 1,000 hours” developing the seats that prevent 'hot spots'. 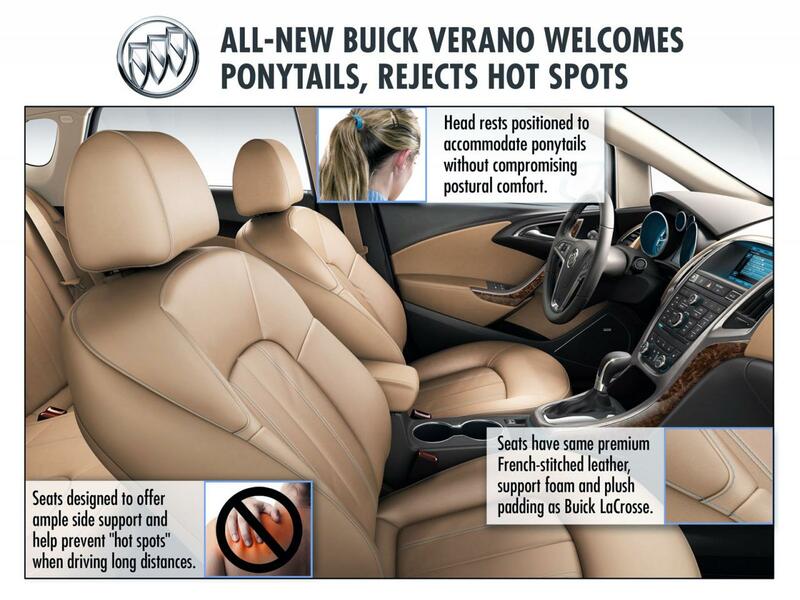 By applying foam supports and padding, the leather-decked seats seemingly position your body for ideal comfort.